Last year, on a hot August afternoon, the first Ice Cream Showdown was held. It went so well, it seemed only fair to do another. This year, however, we're trying something new and doing it on TWO DAYS in TWO different places. Also, it is a great pleasure to have Stonyfield as the Ice Cream Showdown sponsor, allowing us to donate an even higher percentage of the ticket price than usual. The only thing better than sampling several different kinds of ice cream is sampling several different kinds of ice cream for a good cause. 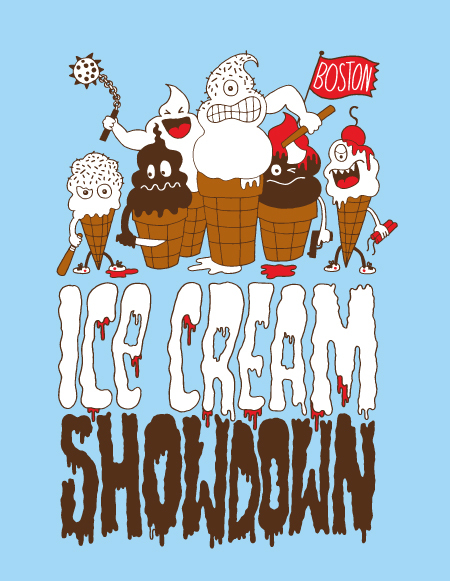 Ice Cream Showdown is an effort to raise funds for deserving local organizations Lovin' Spoonful, Share our Strength, Somerville Local First, Arts Union, and Community Servings.